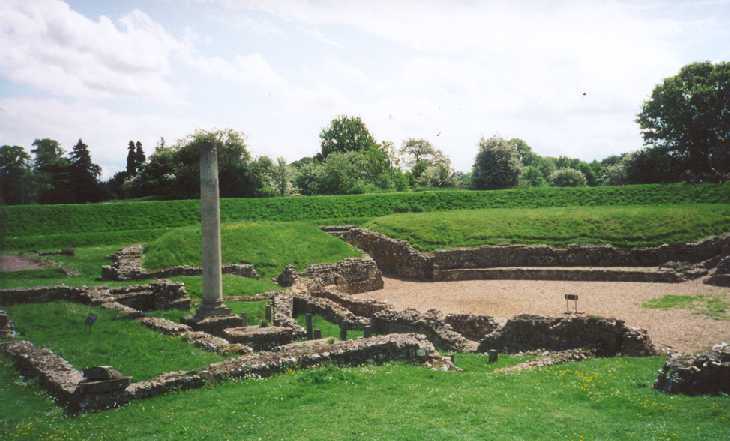 Verulamium was a major center in Roman Britian and as such had to have a theater. 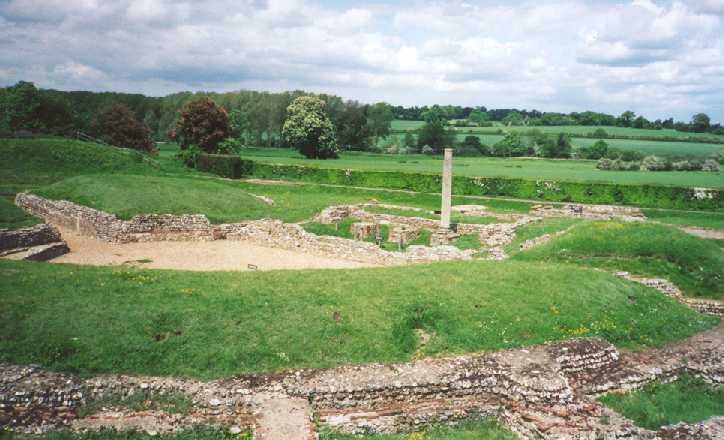 The one in Verulamium is much the same as many Roman provincial cities would have had. 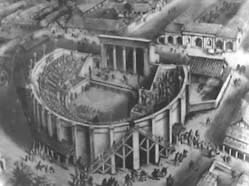 The theater was built about AD 160 and had a seating capacity about about 2000. Over the years, it was remodeled several times, and many shops and houses were built nearby. 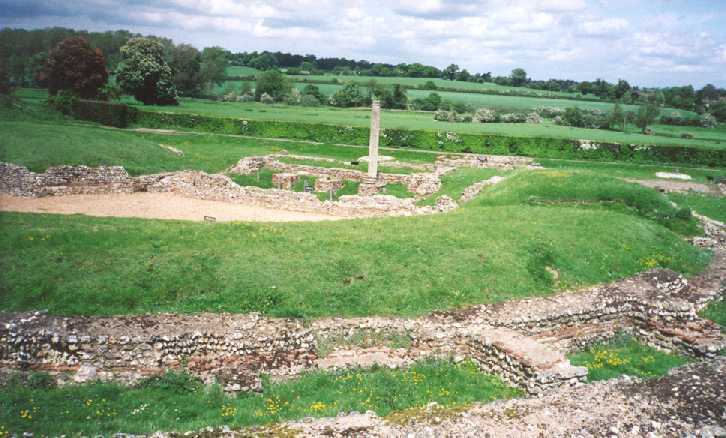 It was abandoned as the Roman influence in Britain waned, and was soon used as a garbage dump. 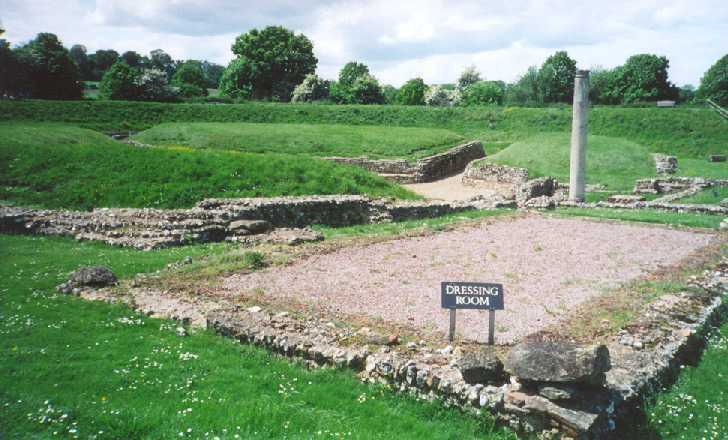 Even in its current state, it is the best preserved Roman theater in Britain. This is a shot of the Roman Theater. This picture was taken from the area of the back of the house seats. Someone seated here would have been near the back of the theater. This is a picture of the "stage left" area of the theater. It is here that the actors changed costumes between scenes. The room just past this one would have been a staging area, where the cast and crew would prepare for their next onstage role. In the "stage right" area would have been another room similar to this one. This shot of the theater shows a good shot of the stage area. 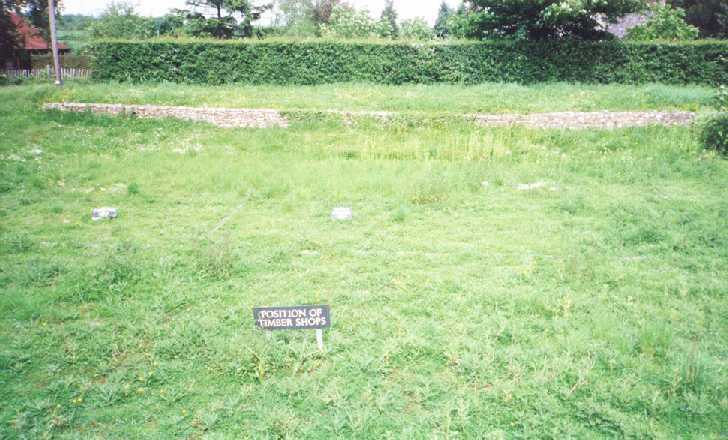 The area around the standing column would have been the rear part of the stage. The column would have been part of a building that made up that part of the stage. The gravel area right in front of that would have been the main stage, where most of the action would have taken place. This picture is taken from the "stage right" area. The area to the upper right would have been seating for the audience, with the performers in the center. This shot shows the walkway up the side of the seats. People would have entered the theater here. Near the theater was a busy commercial district. This photo shows the location and part of the foundation of the timber shop. Archaeologists have also found parts of ovens that would have been used to work metal, suggesting a blacksmith's shop.